Data centers use a lot of electricity, much of it just to keep computers cool. Here are five creative ideas for recycling the machines’ waste heat. Data centers use about 1.3 percent of the world’s power. According to Stanford University, facilities like those operated by Amazon and Facebook gobbled around 250 billion kilowatt-hours in 2010, and around half that energy isn’t used for computing tasks at all. Instead, it powers the fans and chillers used to cool down computer chips. As rising electrical bills become an environmental and business concern, Technology Review identified five creative ideas for recycling waste heat. Green computing: A rack of University of Notre Dame servers (at rear) heats an enclosed botanical garden at the South Bend Conservatory in South Bend, Indiana. 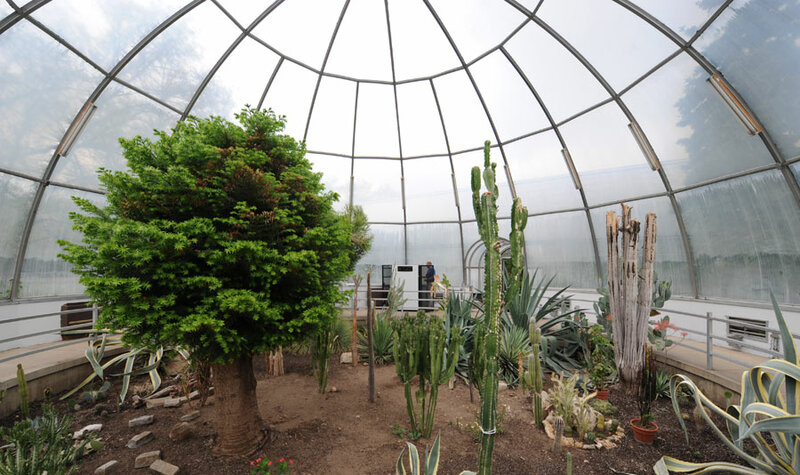 Air drawn from outdoors cools the computers; hot air is released into the greenhouse. 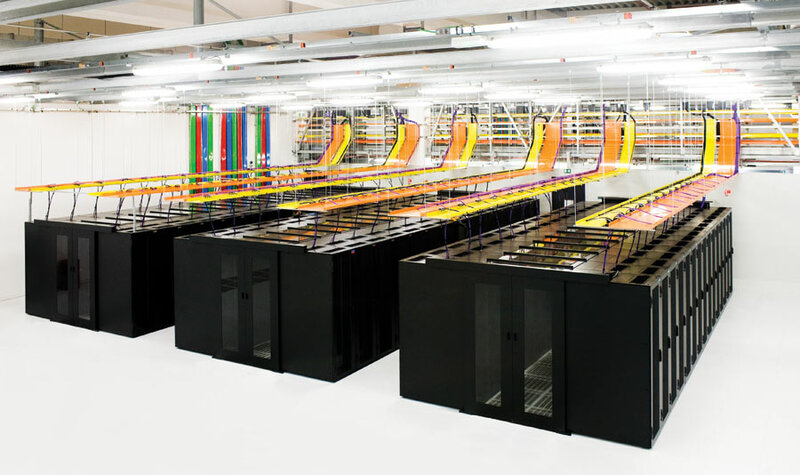 The servers are connected to the university’s main computing cluster and are given more processing tasks if higher temperatures are needed. Paul Brenner of Notre Dame’s Center for Computing Research says the prototype could lower heating costs for the conservatory while cutting the school’s annual electric bill. Micro-power: A pyroelectric energy harvester is designed to turn heat from a computer processor into electricity at Oak Ridge National Laboratory. A tiny cantilever, just a millimeter wide, rests on a chip-sized heating element. As it warms up, the cantilever bends away until it touches a heat sink. Cooled, the cantilever bends back to touch the chip again. Rapid oscillations of the cantilever create an alternating current of electricity that measures one to 10 milliwatts, says its creator, U.S. Department of Energy scientist Scott Hunter. A 6.5-square-centimeter computer chip could have 1,000 such energy harvesters attached to it. Virtuous cycle: Blue pipes carry cold water to chill computers at Syracuse University’s Green Data Center. The facility generates its own electricity on site using small, gas-fired turbines. Exhaust from the turbines is used to heat water and power an absorption chiller, a refrigeration device that uses heat as a power source. The system produces the cooling equivalent of 300 tons of ice, three times what the data center needs to cool down its computers. Excess cold water is pumped to an adjacent office building for air conditioning. 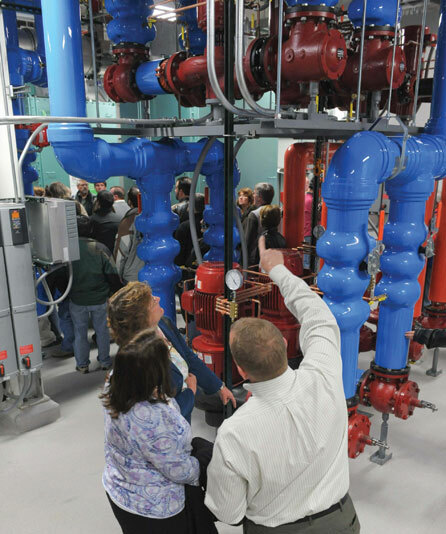 In winter, hot water is used in the office building’s heating system (red pipes). 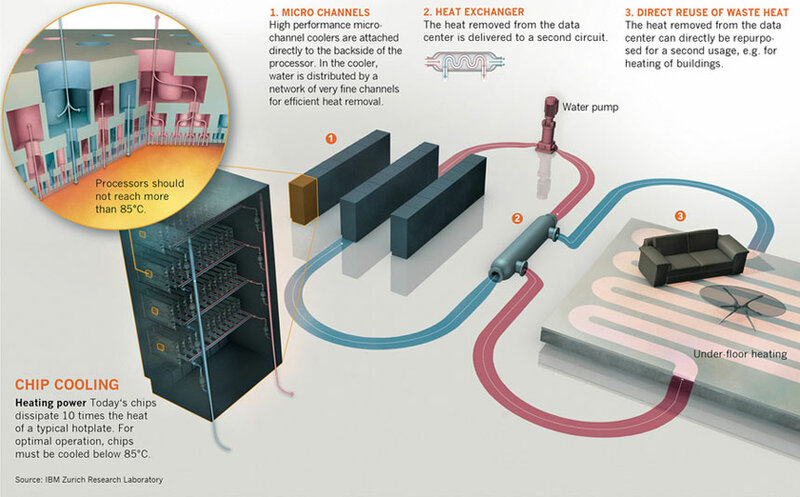 Home heater: A data-center design from IBM’s Zurich Research Laboratory in Switzerland provides indoor heating. Water is run through copper microchannels attached to the back of computer chips. 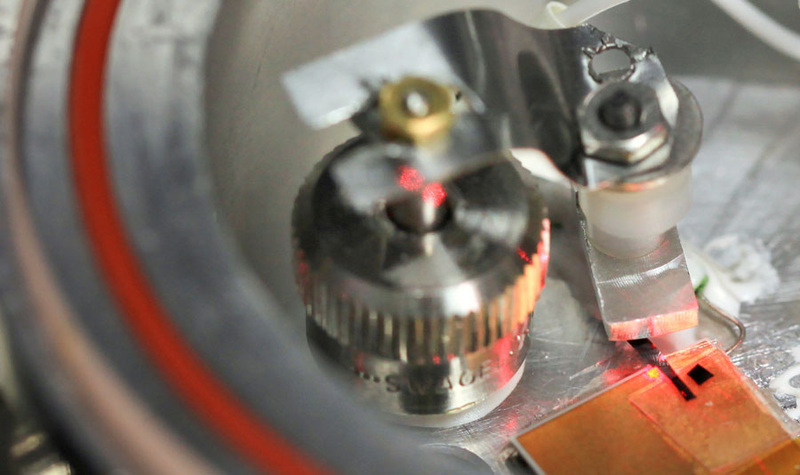 The microprocessors, which can reach 85 °C, cool down while raising the water temperature to 65 °C, hot enough to meet Swiss standards for residential heating. The chip-warmed water could be routed to pipes inside the floors of nearby residences. Currently, the system heats a laboratory space. IBM Zurich researcher Bruno Michel calls reuse of thermal energy a step toward “zero-emission” computing and says a 10-megawatt data center could heat about 700 homes. Climate changers: A server farm at Telecity’s new Condorcet data center in Paris is part of a study of climate change. Heat from the computers is piped into an arboretum (not shown) to model warmer conditions expected to prevail in France in the year 2050. Telecity’s data center also uses energy-efficient lighting and cooling systems that the company says save 28 million kilowatt-hours a year in electricity.